IIHS awards the Chevrolet Volt with its Top Safety Pick+ rating. The Insurance Institute for Highway Safety (IIHS) regularly conducts crash tests for most new passenger vehicles. These tests include a variety of categories such as a small overlap front crash test representing its latest measurement in automotive crashworthiness. Funded by the auto insurers, the IIHS offers critical information that is given careful scrutiny by car manufacturers, consumer groups as well as by media. This week, the IIHS supplied the results for 12 cars put through the Institute’s small overlap front crash test. 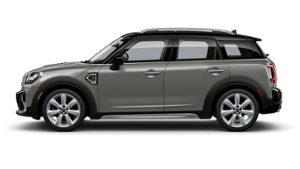 Only one model, the Mini Cooper Countryman, received a good rating. Good is the Institute’s highest mark followed by acceptable, marginal and poor. The 2014 small cars tested this time around were: the Chevrolet Volt, Ford C-Max Hybrid, Mitsubishi Lancer, Scion FR-S, Subaru BRZ, Scion xB, Hyundai Veloster, Fiat 500L, Nissan Juke, Nissan Leaf and the Mazda 5. The Volt, C-Max, Lancer, FR-S and BRZ achieved acceptable scores. The xB and Veloster were rated marginal. The remaining models came in poor. The IIHS introduced a small overlap front crash test in 2012, replicating “what happens when the front corner of the vehicle collides with another vehicle or an object such as a tree or utility pole.” For the test, “25 percent of the vehicle’s front end on the driver’s side strikes a rigid barrier at 40 mph.” It is considered a more difficult test than the IIHS’ own moderate overlap test as well as the head-on crash test conducted by the National Highway Traffic Safety Administration (NHTSA). Whereas a head-on test demonstrates how front-end crush zones hold up, that area is bypassed with the small overlap front crash test. Instead, the test provides a good indicator of how the occupant department will hold up. In the small overlap test, the main structures of the vehicles front-end crush zone are bypassed, making it hard for the vehicle to manage crash energy. The occupant compartment can collapse as a result, severely injuring or killing the person. The Mini Cooper Countryman gave a solid performance, says Joe Nolan, the Institutes senior vice president for vehicle research. The Countryman’s safety cage held up reasonably well. The safety belts and airbags worked together to control the test dummy’s movement, and injury measures indicate a low risk of any significant injuries in a real-world crash this severe. Obtaining a good rating is difficult, but not impossible, as the Mini Cooper Countryman has demonstrated. The Institute looks at several factors when assigning a grade for the small overlap test, including how well the occupant department resists intrusion, the influence that safety belts have in preventing a driver from pitching too far forward and the effectiveness that side curtain airbags have in protecting an occupant’s head. Cabin structures that collapse can cause seats to move forward and force airbags out of position, worsening an already precarious situation. Collapse of the occupant compartment is the downfall for four small cars in this group, including the Fiat 500L, Mazda 5, Nissan Juke and Nissan Leaf, Nolan explains. A sturdy occupant compartment allows the restraint systems to do their job, absorbing energy and controlling occupant motion. The Institute found a number of structural problems present in cars that were assigned a poor rating. In the Mazda 5, a section of the occupant compartment buckled. In the Fiat 500L, the driver’s survival space was compromised as the steering wheel was knocked to the side, thereby causing the airbag to shift out of position too. The test dummy’s head slammed into the A-pillar. The Mazda 5 also has the distinction of being the only 2014 model year vehicle to finish with a marginal rating in side impact crash testing. Two of the electrified vehicles in the test — Chevrolet’s Volt and Nissan’s Leaf — have been tested since hitting the market in 2011. Those early models received top ratings in the IIHS’ other four tests — side impact, head restraint, moderate overlap front and roof strength. In the latest test the Volt held up “reasonably well,” but the Leaf experienced significant intrusion resulting in a poor rating. Following the latest testing, the IIHS updated its overall grades for these models. The Mini Cooper Countryman, Ford C-Max Hybrid, Mitsubishi Lancer, Scion FR-S and Subaru BRZ each were recognized as Top Safety Picks. The Chevrolet Volt took the higher Top Safety Pick+ category as it was the only one of the top achievers with a front crash prevention system. Photo courtesy of Mini USA.